Neha Chawla, Ph.D Neha Chawla, Ph.D., is the founder and director of the Seattle Mindfulness Center. She provides mindfulness and acceptance-based treatments and facilitates Mindfulness-Based Relapse Prevention groups (MBRP). Her approach to therapy involves bringing a kind and gentle attention to whatever is arising in the present moment. This involves greater awareness of thoughts, emotional states, and sensations in the body. This type of awareness creates a pause in the automatic, habitual behaviors that rule most of our lives, and is not only a form of self-care, but has the potential to create greater self-awareness, compassion, freedom and choice. She works with a variety of issues including anxiety & depression, exploration of cultural identity and acculturation, relational challenges, recovery from addictive behavior and life transitions. She is a co-creator of MBRP and co-author of Mindfulness-Based Relapse Prevention for Addictive Behaviors: A Clinician's Guide. 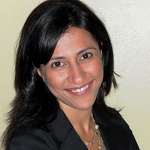 In addition to her private practice, Dr. Chawla consults, and provides training in Mindfulness-Based Relapse Prevention (MBRP), and has authored several theoretical and empirical articles and book chapters on topics related to mindfulness, addictive behavior, and mindfulness-based treatments, has facilitated numerous groups in private and community treatment settings, and conducted therapist training workshops in both the US and abroad. She is also clinical instructor at the University of Washington, providing supervision to psychology graduate students.